What are some of the must try foods in Rio? After trying to find the time in your schedule for some time, you have finally made travel plans to visit Brazil. With your first destination being Rio, you are excited to see all the usual sights, but being an avid foodie, you are even more enthused to sample the food that fuels this nation as well. The following must try foods in Rio will give you the best possible impression of the meals that the common Brazilian consumes on a daily basis. 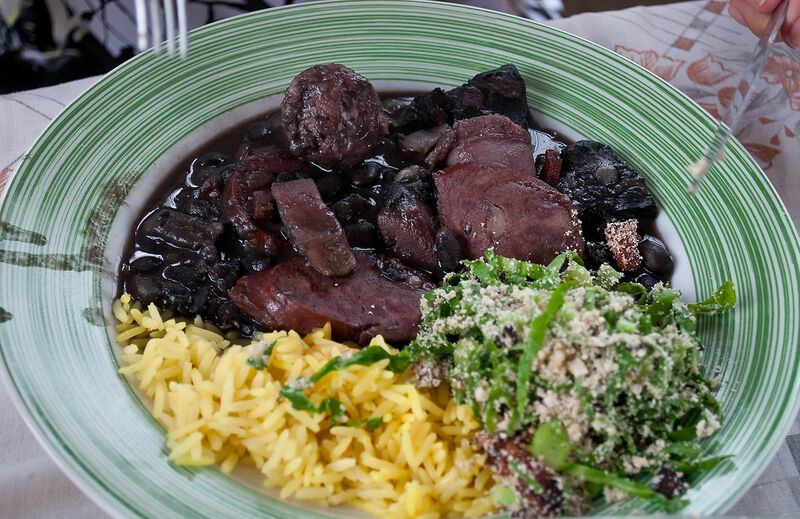 Of all the Brazilian dishes that one can sample in Rio, Feijoada is the most popular meal by far. A stew consisting of black beans, beef and pork, this hearty bowl of goodness is so ubiquitous that is considered by many to be this country’s national dish. It can easily be found at hole in the wall and pricier restaurants alike, with many workers indulging in it on their lunch breaks as eagerly as those that are enjoying a meal of it just off the beaches on a lazy weekend afternoon. Brazil has a massive coastline, spanning over 33,000 kilometres, making it not hard to understand how seafood makes up a large part of the diet of everyday Brazilians. One of the best known surf dishes in Rio is none other than Casquinha De Siri, which are blue crab shells that are stuffed with ingredients such as tomatoes and seasoned bread crumbs in addition to the former shellfish’s own crabmeat. Looking for a savory baked treat that will fill the hole in your stomach first thing in the morning? Typically made from yucca flour, this pastry is stuffed with a variety of different cheeses, which is at its best fresh out of the oven. While still good later in the day, there is nothing quite like having one piping hot, so be sure to make the effort to get up early enough to enjoy them in their peak glory. While many of the foods listed in this article have their roots in southern Brazil, Rio is a cosmopolitian city where citizens from all corners of this massive nation (it is almost as big as the continental United States) come to seek opportunity. As such, dishes that aren’t as common in the south can nonetheless be found here, with the Bahian dish of Moqueca being one of more popular offerings from the north. A fish stew with coconut milk base that is made with vegetables such as tomatoes and onions, the aroma of this heavenly broth will lure you in from the street if you happen to be walking by. However, you may not be so lucky, as finding restaurants that serve this tasty dish can be a difficult task on your own. However, hiring a Rio private tour guide means that this will not be an issue, as these highly experienced individuals know exactly where Bahian cuisine can be found in Rio. Leverage their knowledge instead of wasting precious time on your holiday trying to hunt it down yourself!